So this evening I went to the Debenhams Beauty Gala Event! 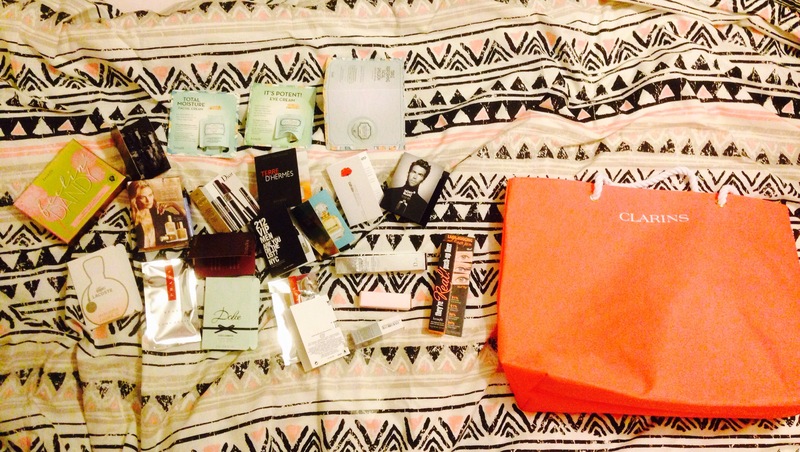 I got heaps of freebies and also purchased a few items. I have a friend who works on the Benefit counter and she gave me a heads up about it and gave me a ticket on the sly! It was a very chilled evening and I will defo be going again! So much discount and so much free stuff! When you walk in you were greeted by a lady and gentleman, directing you to the refreshments (pimms and cake!) and also giving you a goody bag. The bag is kind of like a jute bag, but a cute coral colour and Clarins! I am so going to be taking this to the beach….if summer ever comes! 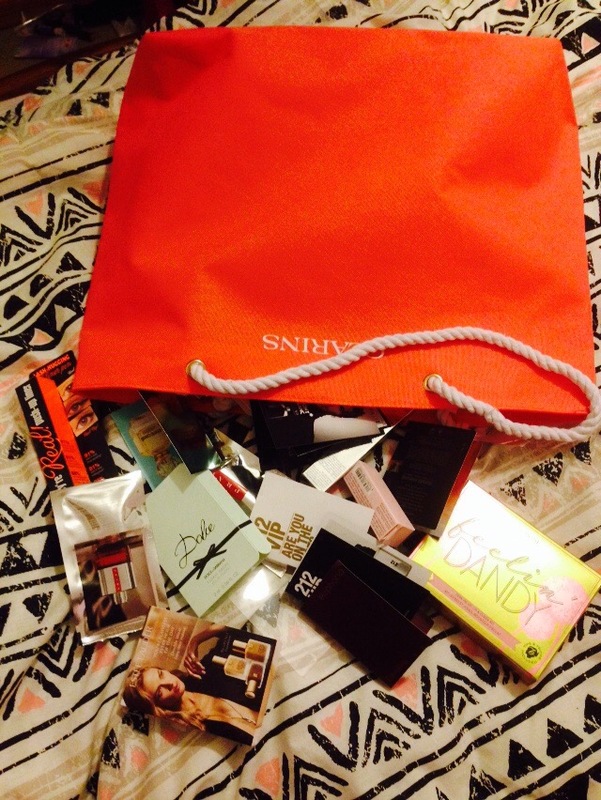 The bag was full of mainly fragrance samples which included men! So I have a very happy boyfriend. There was also a little Clinique mascara and some YSL tinted moisturiser. 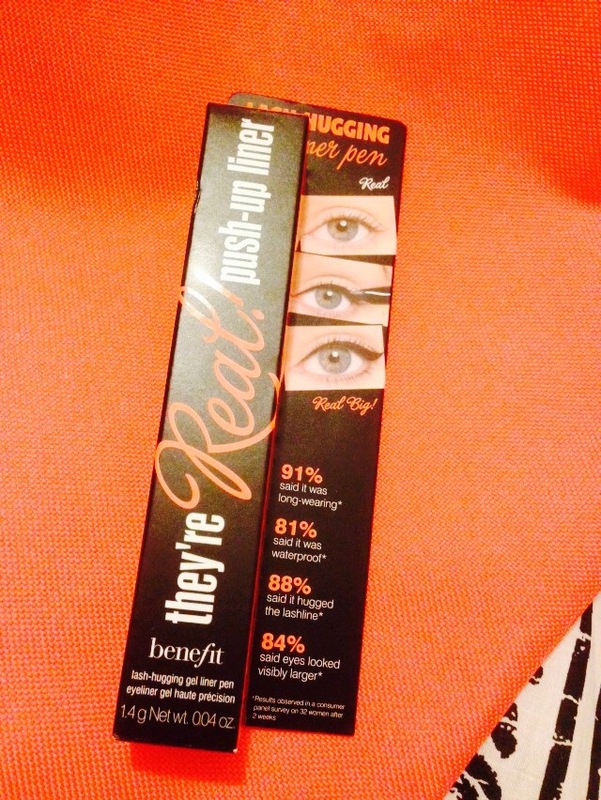 And I tested the Liner when I got home….it took a while to get the product out but first impressions were pretty good! I’ll be doing a full review on this soon as! One thing I will say….IT LITERALLY WONT COME OFF! It takes waterproof to another level! Oh! And I also brought my favourite Dior product ever! 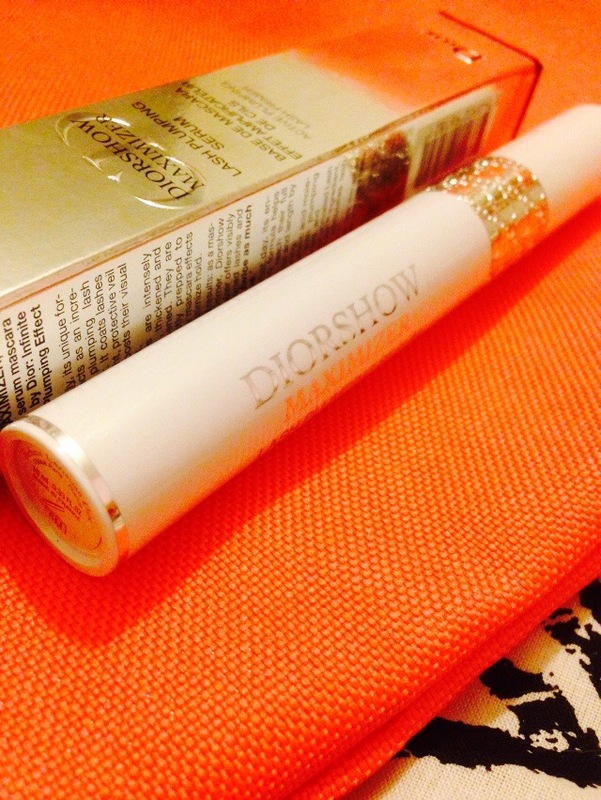 DiorShow Lash Plumping Serum. This is my holy grail. Lovelovelovelove it! All in all I probably spent about £45! Which is a pretty good bargain, considering the prices of high end products. I received 10% off each product and £3 off my Benefit products. If you are aware of an event like this near you I would so recommend going! Reviews are going to be posted over the next few days. Also, I’m trying out Oil Pulling. Anyone else heard of that? Anyway, I will be posting my progress on that in a few days time too!